You look very cheerful, you skate with your students. I heard you still drive the car. – Of course, it is important. In sports, the result can be determined by seconds, so a person should be able to manage his time properly. The arms movements must be correct during the program. If it is not balletin than this is that piece of trash that lies near their dressing room. Therefore it is very important. And then, if they are accustomed to living in dirt, in the same way they will not follow the beautiful performance of the elements. They are also members of society, residents of St. Petersburg. Why clutter up their lives and the lives of people around them? Did you have to teach some of your skaters to be tidy? – Well, paper not athletes. I kick it in the center of the aisle so that the person sees that things are not in place. I also ask male coaches to do the same way in order to teach children to be clean and tidy. The school of your name has been working for almost two years. Do you feel more responsibility now? – Yes, a little bit. In fact, this is the same school of figure skating, just to be a little different from the others it called the Sport Club of figure skating and also has my name. It was the desire of the people who organized it all – Anton Sikharulidze, Evgeniya Pershin and the Gazprom Fund for Children. Did you manage to do much in two years? – How to say. There were several sporting successes. There are several members of the Russian national team, there are bronze winners of the European Championship and medalists of the Russian Nationals and the ISU Grand Prix final. Let’s get a little more detailed about the bronze winners of the European Championships, Alexandra Boikova and Dmitri Kozlovski. Once you called yourself a “producer of the fate of Olympic medals”. Is Boikova and Kozlovski your main project now? – I consider my main project to be the development of the results of the athletes of the Tamara Moskvina Club. Producer is an English term. I prefer to use Russian words. I’m rather the head of training process of the future participants of the Olympic Games. And what place they will take there we will see closer to the Olympics. Bronze medals of the European Championships is it a success for the guys? – Yes. For coaches of our club, in particular for their coach Artur Minchuk, choreographer Alexander Stepin, me and for our entire school this is definitely success. Each pair has its own history. How did the duet of Boikova and Kozlovskш appear? – They were students of Alexei Mishin. Both did single skating. With great difficulty we managed to convince them to switch to pair skating, because they dreamed of becoming Plushenko and Lipnitskaya. They didn’t want to do pairs and didn’t see any perspective. But in the end we managed to team them up, and ordinary work began. – They just didn’t have results in single skating. And we said that maybe they would do better in pair skating. Did it work out immediately? – No one succeeds immediately. It’s necessary to try. When you come to the new team, do you get along with people right away? It happens differently. There is such a thing as “chemistry” between partners. Did you spend a lot of time to find this chemistry? – In English it is chemistry. And in Russian – the relationship between partners. They are still getting used to each other. These are two teenagers. One is 19, the other is 17. Each is fighting for leadership in a pair or trying to prove that he’s right. And I don’t need any of them to be right. I need them to work together. And a teamwork – someone did more, someone less and it’s impossible to count. Everyone must invest exactly that much or even more so that the joint work is done. This is what we do. About a year ago you spoke very cautious about their prospects for the 2022 Olympics. Has anything changed since then? Do you believe in them more? – When the coach takes an athlete, he believes in him from the very beginning. And with each workout, he either becomes more and more convinced or dissuades. Now we do not draw any conclusions, but simply work and think, how can we bring these and other athletes to the top of sportsmanship. Are Boikova and Kozlovski able to to reach this peak? – In generall, they are capable. But no one knows whether they will reach it or not. According to Boikova, you are quite democratic coach. You allow them to solve many issues themselves, do not limit the choice of music and other moments. – Rather I pretend to be democratic. Well, for example, in matters of any gadgets, I really listen. For example, Dima tells me about different functions on the phone or how to fix something in my iPad. At the European Championships, Sofia Samodurova sensationally beat Alina Zagitova. 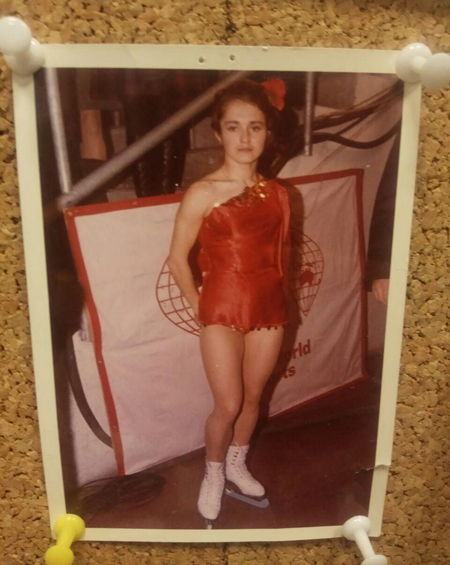 After that, her coach Alexei Mishin recalled how at the World Championships 1969 in Colorado Springs you beat Belousova and Protopopov for the first time. Then he told reporters that you beat Belousova and Protopopov, but did not surpass them. According to him that’s what happend now: Sophia won, but did not surpass Alina. Do you agree? – I think that if Mishin and I beat Belousova and Protopopov, it means that we were stronger. And in the case of Zagitova, Mishin simply showed his diplomacy not to offend the Olympic champion. Next season, Eteri Tutberidze’s girls Alexandra Trusova, Anna Shcherbakova and Alena Kostornaia will compete in seniors. Do you expect revolution from these skaters? – What do you mean revolution? Quad jumps in ladies skating. – When I was still Tamara Bratus (Moskvina’s maiden name), I was the first Soviet figure skater to jump double Lutz. What is double lutz now? Did the revolution happen when they started to jump triple lutz? It’s just a usual development of technique. Medvedeva’s new choreographer called Tutberidze’s skaters “disposable” What do you think about this? – I didn’t hear that, so I can not comment. Ok.Tutberidze’s skaters consistently show a very high result in a short period of time, but then they have a huge decrease. In my opinion, there is a trend. – I did not analyze how many years Tutberidze’s students skate and how many others skate. – You know these names and the whole world knows them. Is it bad? Every coach needs his athletes to win. Tutberidze organized this process in such a way that they’re winning. And now the whole world knows their names. All the rest does not matter. For the first time Eteri Tutberidze’s boy Daniil Samsonov won Russian Junior Nationals. Don’t you afraid that she will start coaching pairs? – No. Look how many lonely people in the world. And how many happy couples? Few. Compare the number of weddings and divorces. It’s always easier for a single skater. In a pair, one must even learn how to properly take a partner’s hand before death spiral or any other pair element. When you are alone – you took out the garbage yourself, vacuum himself. And when you’re with someone, you have to negotiate. This year, provocative costumes for gala and even competitions suddenly became popular. Tuktamysheva had such and Stepanova skate at European gala wearing a translucent costume. – So what? Don’t you see girls on the beaches in bras? Each person has his own assessment of candor, so let everyone keep this assessment with them. If someone makes it public, then only in order to attract attention. Would you allow your skater to do something like that? – First of all I always look how the costume suits the music of the program. Everyone is trying to attract attention. Maybe these girls tried to do the same. Maybe due to the fact that all attention has been drawn to Zagitova and Medvedeva in recent years Tuktamysheva decided to say “Look, I also skate here, jump triple axel, and you do not pay attention to me.” I don’t see anything reprehensible in this. For example at the European Championships gala, the Italian pair skated, he was wearing sports shorts and so did the girl. So what? Maybe the world revolution happened because of it? Would you like me to show one example? This is me on the photo – Tamara Bratus. This is about 65 – 67th year. See the bare shoulder? Then, in the USSR, they did not skate with bare shoulders, it was like Tuktamysheva’s bra now. This is my costume for “Gypsy dance”. In a suit, the strapless bra is made from plastic bra pads of the size С. Although I had a breast size – well A probably. I wore this costume with a naked shoulder for the gala and Mishin hadn’t seen it before. And during the Gypsy number I do with my shoulders just like a Gypsy. And Mishin looks at me and says: “Where did it came from? You never had such shapes!” And you say – Tuktamysheva! Tamara Moskovina is brilliant! The pairs that work with her are privileged. 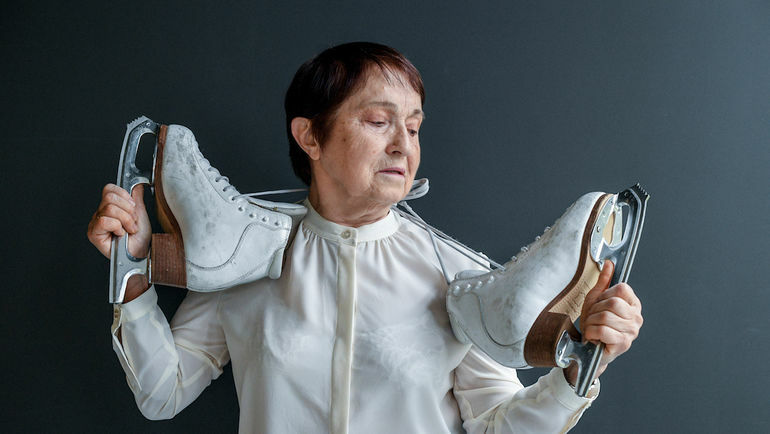 She’s a true “Queen of Thorns” in Russian figure skating. Such a wise woman and intelligent woman.